Gluten and dairy sensitivities can wreak havoc on your digestive tract, with symptoms like diarrhea, weight loss, abdominal bloating and flatulence. Avoiding these foods is extremely difficult because dairy products and the grains that contain gluten, including rye, barley and all forms of wheat, are extremely common in the American diet. However, if you’re willing to try something different, there are plenty of gluten- and dairy-free foods you can eat for breakfast. According to HealthNOW, oat fields often have a bit of wheat and rye mixed in, both of which contain gluten. So even if the oats themselves are free of gluten, they’re often still contaminated with it. However, some companies offer certified gluten-free oats; look for this to be marked clearly on the packaging. Use these oats for oatmeal, and instead of dairy milk, top off the hot cereal with hemp milk, soy milk or nut milk instead. Add fruit or berries for additional flavor. 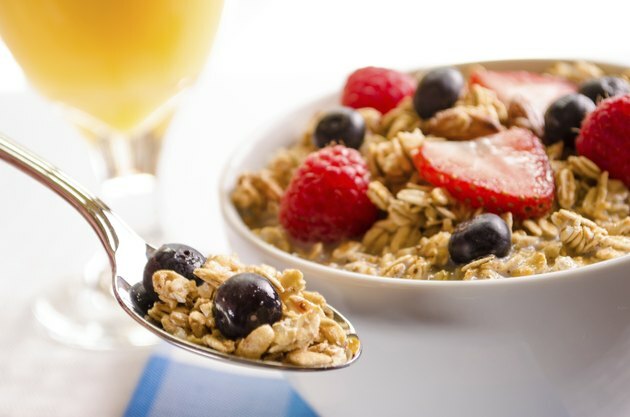 Wheat, barley and rye are very common in prepared breakfast cereals. Even if the product is labeled as “rice” or “corn” on the front of the box, wheat might be lurking further down the list in such ingredients as malt flavoring. Eat only breakfast cereals that are labeled as gluten-free. 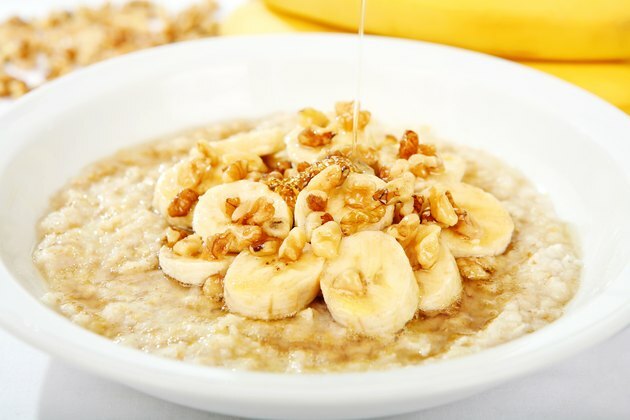 For hot cereals, look for products that contain corn, flax, rice, hominy, sesame, quinoa or amaranth. As with the oatmeal, use hemp, soy or nut milk for a dairy-free topping. Finding bread and bagels that are both gluten- and dairy-free is a challenge, but they do exist. Toast them in a toaster reserved for gluten-free products, as the gluten-containing crumbs in a communal toaster may contaminate your supposedly gluten-free products. 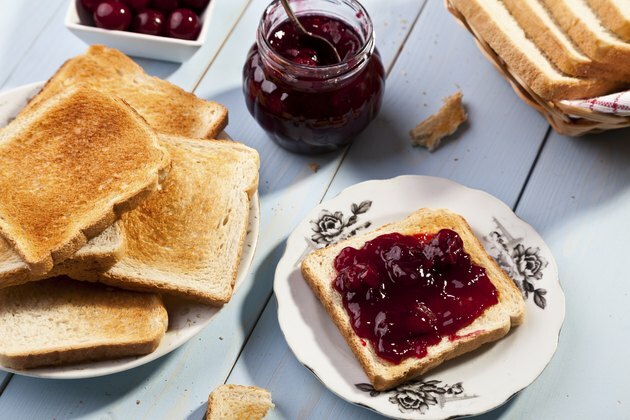 Instead of using butter on your toast, enjoy jam, jelly, honey or almond butter; consider avoiding peanut butter, as peanuts are a very common food sensitivity. You also can purchase vegetable-oil based margarine or butter to use as a spread. 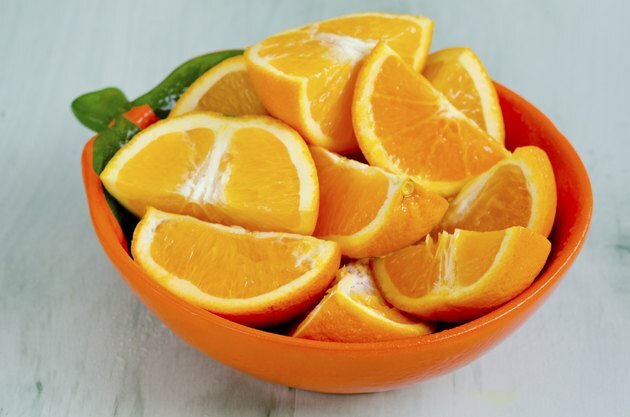 A platter of fresh fruit is certain to be gluten- and dairy-free. Instead of serving the fruit with cream, which is a dairy product, consider topping it off with a delicate drizzle of honey, or use no topping at all. 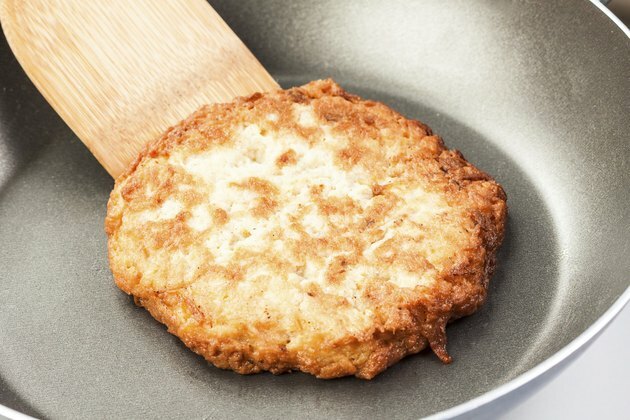 Hash browns or fried potatoes are another common breakfast food that is gluten free. For a change, try making them sweet potatoes or plantains, a starchy relative to the banana. 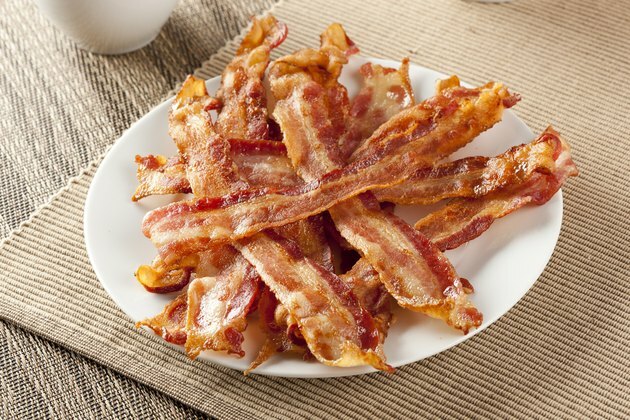 Eggs and meats, including bacon, fish and sausage, are all gluten-free protein sources you can have with breakfast. Some processed meats may contain casein, however, which is a milk protein. Read the labels carefully for this and any mention of hydrolyzed vegetable proteins, which might mean the product contains wheat or gluten. Medical News Today: What is Gluten Intolerance? What is Celiac Disease?